Cabcon offer a bespoke cable assembly service to match your individual requirements. They specialise in most copper fibre and power technology including Cat5e Cat6 Cat6a Telco coax and fibre solutions. Coaxial cable assemblies including BNC TNC N-type F-type Type 43 and miniature coax to suit all cable types. 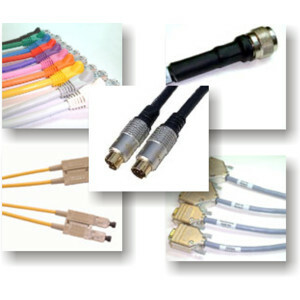 A wide range of copper cable assemblies including Cat5e Cat6 Cat6a Telco and telecoms cables. We offer a wide selection of fibre cables including LC SC ST MTRJ and FC connectors for cable types OM1 OM2 OM3 & OS1. Cabcon can terminate a wide range of ends including C13 C14 C19 C20 IEC309 connectors and full international plug tops.